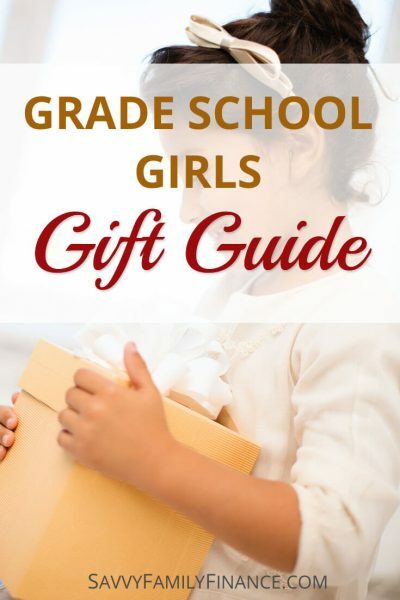 Inside: You’ll find a list of great gifts for elementary aged girls. Stuck trying to figure out gift ideas for your niece, family friend, or even your daughter? Here you’ll find a list of gifts for elementary aged girls, roughly ages 5-11. My daughter has loved the same or similar gifts, so I know they are a hit. Oh, and these don’t necessarily need to be gifts for girls only, and also be sure to check out the gift guide for grade school boys. I separated the ideas based on preferences of my own kids, but who’s to say what is a gift for a girl vs. boy? Whether kids are in kindergarten or sixth grade, boy or girl, they all seem to love a huge set of colored pens. I remember wanting a spy kit when I was a kid. This is a tried-and-true gift that my daughter loves. Having an analog watch not only helps kids learn to tell time, but also somehow makes them feel older. Legos are a hit, but the Legos Friends’ sets really hit a home run with a lot of kids. Also check out the Lego Elves sets for more ideas. Remember making friendship bracelets when you were a kid? They still do it and this is really a good kit. It comes with nice thread and even a pattern wheel to make it easier. This gift has gotten a lot of mileage at our house. Both of the kids like to play with this electronic circuit set. It’s a great learning toy for all kids. Kids love getting big sets of stuff. I mean, wouldn’t you as a kid? A big, yet quite affordable, art set such as this will be a big hit with a young art lover. This magazine piques curiosity with kids and, for your convenience, is available as either a regular magazine or in Kindle format. Face paint isn’t just for Halloween. Kids love to dress up for play or draw fancy designs to sport on their cheek for the day. It feels like memory lane today. Scented markers are still a prized possession for many kids. Make them happy with this set of fruity colors. Most girls like jewelry and this necklace is both pretty and inspirational. Pretty and practical. She will enjoy having a place to write down thoughts, doodle, or just keep random notes. This jewelry box is gorgeous and practical. Different drawers help keep jewelry organized. What is on your kids’ wish list this year?